But I’ve been looking through rosy-colored glasses in the last 2 posts. 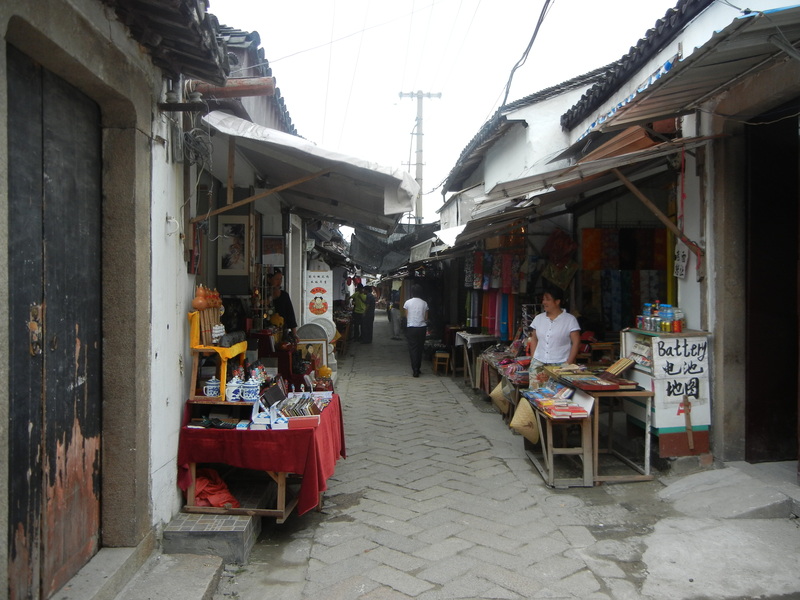 China is very multifaceted, and hutong life comprises only one of its traditions. 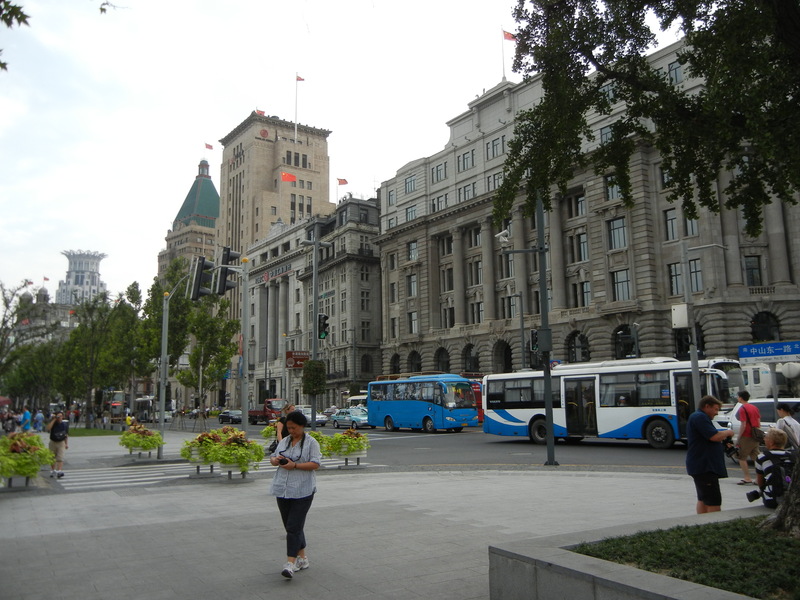 There’s no mistaking Shanghai’s Nanjing Road for a quiet hutong, but the everything-for-sale mentality in Shanghai is also an old part of China’s heritage. Mark Edward Lewis, in China Between Empires, detailed one of China’s greatest demographic shifts: the migrations from North to South. Most people in China’s Han Dynasty had lived in the north. But millions of peasants fled to the Yangtze (modern Shanghai dominates its eastern end) when the dynasty fell in 220 CE, and when non-Han people formed states that often fought each other in the Yellow River basin. By 589, about 40% of the registered population lived in the Yangtze valley. The north’s proneness to droughts and floods, and its dry soils had forced people to concentrate on wheat and millet farming. The folks who had taken their carts with all their worldly goods to the south found a wetter climate, and they developed wet-rice farming (which had already emerged in Southeast Asia), and turned the Yangtze valley into China’s main source of food. They also produced silk and grew tea and a wealth of fruits. Many families became wealthy through trade, and built villas and private gardens to show off their status. The roots of modern Shanghai’s love of commerce and luxury grew, and encouraged lifestyles that are different from hutong life. Lewis noted cultural fault-lines between northerners and southerners. Families and villages in the north were tightly networked in order to cope with the frequent droughts and floods. But relationships in the south were looser. A person who showed up at the gate of a distant relative couldn’t expect to be automatically taken in. Northerners found this more individualistic mindset scandalous. Many of the Yangtze’s rich became great patrons of the arts. Gardening, landscape painting, and lyric poetry about personal feelings and nature emerged as major art forms. But wealth was unevenly spread. As merchants competed for status, millions of people struggled in crowded neighborhoods, and on rural estates. Millions of people have recently moved from the country into Shanghai, and into other cities in the lower Yangtze, including Suzhou (pictured above). Folks in northern China say that people in Shanghai only care about money. But rough-and-tumble business has been part of China’s heritage for a long time. The West has a long history of developing laws that protect contracts and private property. Westerners who have moved into China have been surprised that software companies sometimes hack each other’s web sites and steal each other’s source code. Some managers require their employees to leave their cell phones on all night in case they want to call a meeting at 3 AM. 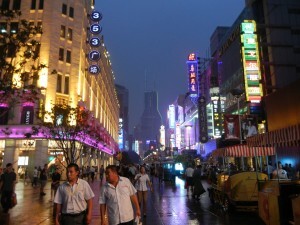 Many denizens of big southern cities would consider my musings about hutong life idealistic and naive. Many northern transplants got similar lessons after the Han Dynasty’s fall. The gap between communal life in harmony with traditions and nature and the demands of a tough business world is an ancient Chinese tradition. People all over China are still struggling to harmonize both. Thanks for your kind words, Joe.